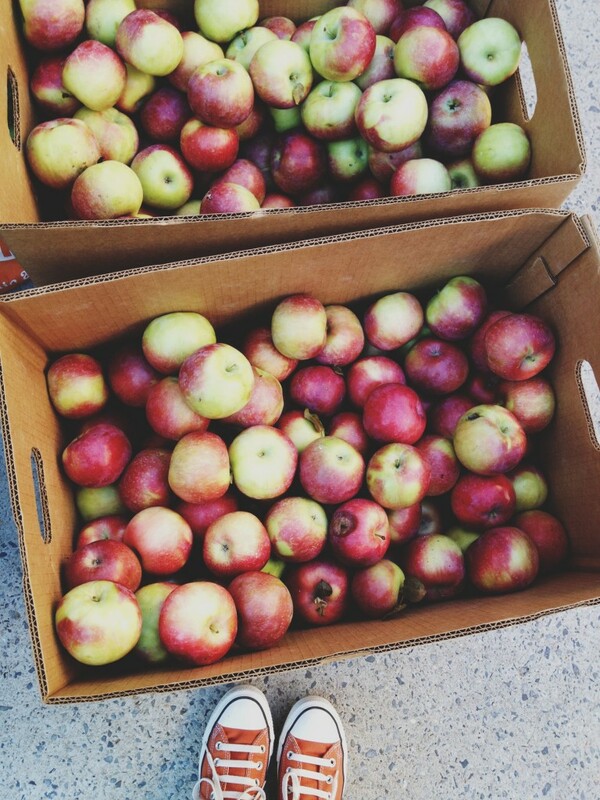 It’s that time of year when apples abound. We get ours each week from our CSA. If you are not familiar, CSA stands for Community Supported Agriculture—they have been around for years and are increasing in popularity. The basic idea: the public is offered the opportunity to buy a “share” in a local farm. 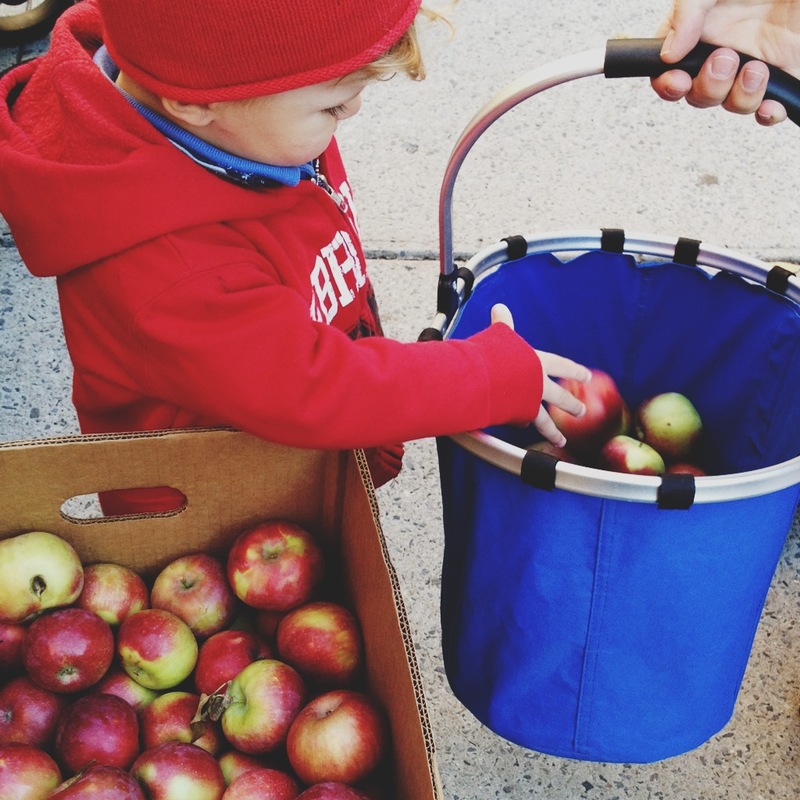 The money is paid up front so the farmers can put the money back into the farm, and when the summer season starts the farmers bring their delicious, locally grown seasonal produce to a pick-up location in our neighborhood in NYC where we claim our veggie and fruit loot each week! Those with shares also have to volunteer at the pick-up site for 3 hours during the June-November season. It’s pretty much the closest this city girl will get to a farm and I always enjoy being outside hauling the crates around, chatting with my neighbors and doing my part. Christy, I wish they did that in this part of the world too! What a fantastic idea! And I’ve been enjoying those apple shots too. So good to see them all in a mosaic. 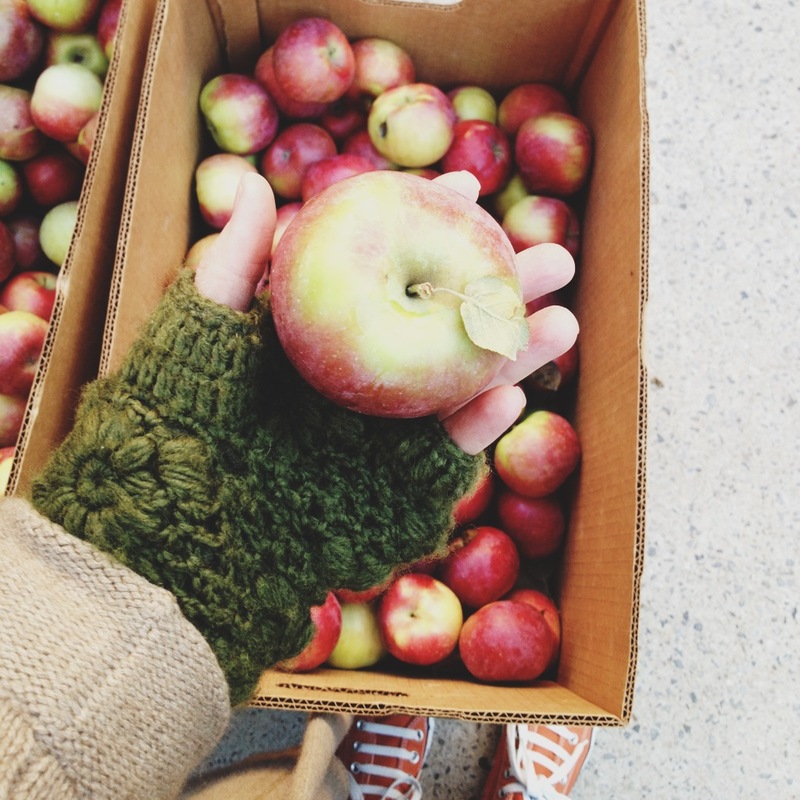 Urban harvest for the urban muser – I love this post Christy! And the CSA sounds absolutely brilliant. We’ve done the CSA thing, too. Although we live rural, our woodsy setting is too shady for growing much. The food boxes are fun…always a surprise to open. 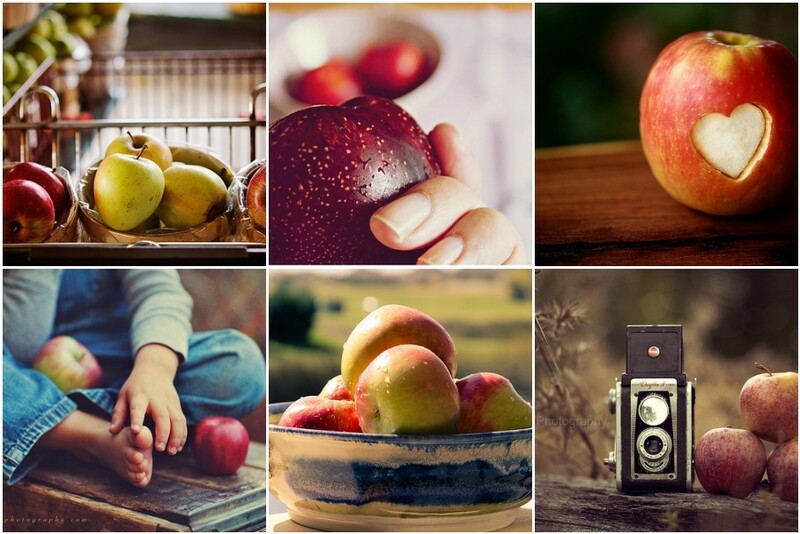 Love all the apple images, Christy! I love CSAs. We belonged to one when we still lived in the city and still do, even in the country. One of my favorite things about them is the communities that often form around them. Lovely photos, and thank you for including mine! I love all of these apple shots. Such perfect autumn images. Thank you so much for including my apple image. Love the mosaic you put together. Your photos are wonderful. What great colors you found some amazing photos in the pool this week!